The Ultramicroscopy group is currently recruiting for a PhD student to start in September 2019. "Design and Evaluation of Laser-driven Photocathodes as Candidate Future Electron Emitters". This award will fund the full fees of either an EU or non-EU student for 4 years. An annual stipend of €16,000 for four years is also included.The cancdidate must hold at least a 2i in a Physics/Engineering/Materials Science (or related) discipline. Experience with computer aided desing (Solidworks) and Multi-physics modelling (COMSOL) would be beneficial but not compulsory. 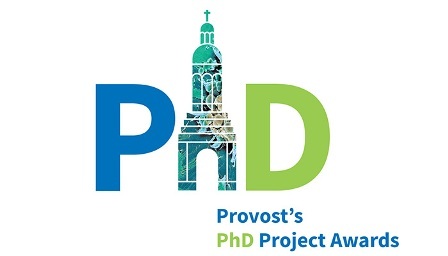 This studentship is funded through the Provost's PhD Project Awards. These competative doctoral awards are generously funded through alumni donations and Trinity's Commercial Revenue Unit. Interested students should contact the group for more details. The Computational Spintronics group and Ultramicroscopy group are currently recruiting for a joint PhD student to start in September 2019. "Machine learning methods for ultra-high fidelity microscopy". The ideal applicants will have a 1st Class Honours Bachelor’s degree in Physics, Chemistry, Materials Science or related disciplines. Previous experience with electron microscopy and/or electronic structure theory would be advantageous but not essential. The researcher will work closely with other members of a multidisciplinary project team. Excellent written and oral communication skills are essential. This position is funded by the SFI-research centre AMBER. The AMBER research centre, as a community of researchers, welcomes its responsibility to provide equal opportunities for all. We are actively seeking diversity in our research teams and particularly encourage applications from underrepresented groups.Positions will remain opened until filled but preferred start date is September 2 2019. Final-year Physics undergraduate students interested in electron microscopy are encouraged to get in touch to discuss potential projects in the Advanced Microscopy Laboratory for 2019. "Evaluating TEM sample holder performance for low-voltage x-ray mapping"
"Sustainable phase-change materials for precision thermal regulation"
Enquiries form interested students are always welcome under the Government of Ireland Postgraduate Scholarship Programme. The Ultramicroscopy group, based in the Advanced Microscopy Laboratory may be able to offer summer work experience for Trinity undergraduates. Interested students should contact the group for more details.